Spacious, clean, cosy, warm apartments. Comfortable beds. All equipment you'll need. Kind and helpfull staff. They sent bag that we left in apartment without any additional charge. They didn't take any charge for key-card that we've "stolen" as well. Luxurious sauna. Lovely apartment with nice balcony and fantastic views, it also had a physiotherm cabinet in the ensuite bathroom which was an added bonus after a long days walk. 2 English news channels so you could keep up to date with the world and handy for the lift up the local mountain and you also had a visitor card which made them free as were many other attractions. Also a daily bread delivery which was a fantastic, this had a really good selection to choose from, you could order daily or weekly and you only had to pop to reception to collect your bag, fantastic. 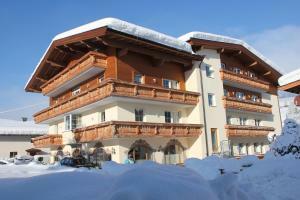 Lovely spacious apartment in a beautiful location. Was plenty big enough loved the three bathrooms and washing machine. 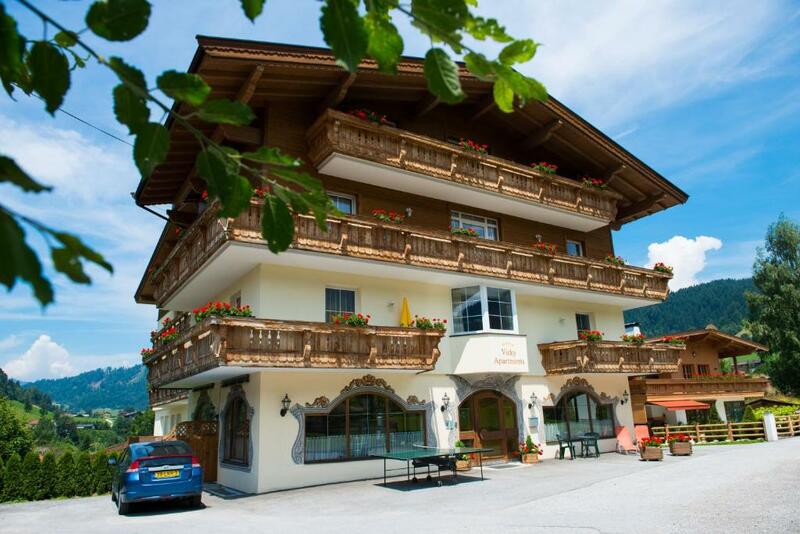 Also a very large balcony.Easy reach of the cable car and supermarket. Very quiet location for walking and local swimming pool. Voor onze wintersportvakantie een toplocatie, alles was aanwezig en werkte keurig. zeer ruime gescheiden kamers. Wij hadden een topuitzicht op de bergen en balkon op zuidkant. Czysto i schludnie. W apartamencie wszystko co potrzebne. Dla narciarzy narciarnia z podgrzewaczami do butów. Sauna na dole . War noch besser als erwartet . Man fühlt sich einfach wohl und es ist alles da was man in einer Ferienwohnung braucht . Les chambres et les salles de bains spacieuses. Le calme. Lock in a great price for Vicky Apartments – rated 9.5 by recent guests! 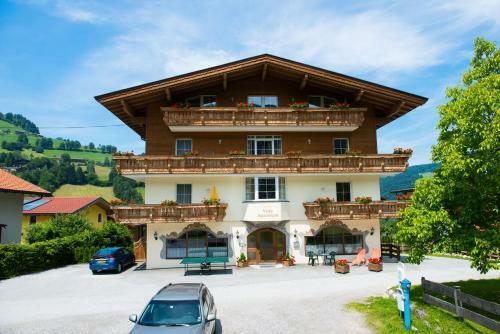 These spacious luxury apartments are located in Tyrol’s Wildschönau Valley. Each has a balcony or terrace, an infrared cabin, a flat-screen TV with DVD player, a washing machine and free WiFi access. Vicky Apartments feature 2 TVs and private bathrooms, each fitted with a hairdryer. There is a living room with a seating area and a completely furnished kitchen. Bed linen and towels are provided free of charge. Fresh bread rolls can be delivered on request. The sauna can be used free of charge. There is also a billiard table in the lobby. 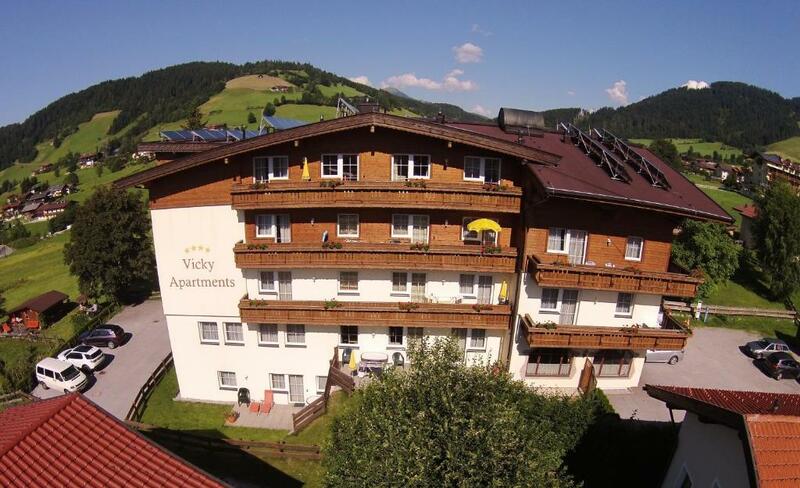 Vickys Apartments enjoys a quiet and sunny location off the main road in the scenic village of Niederau. Parking is available free of charge. 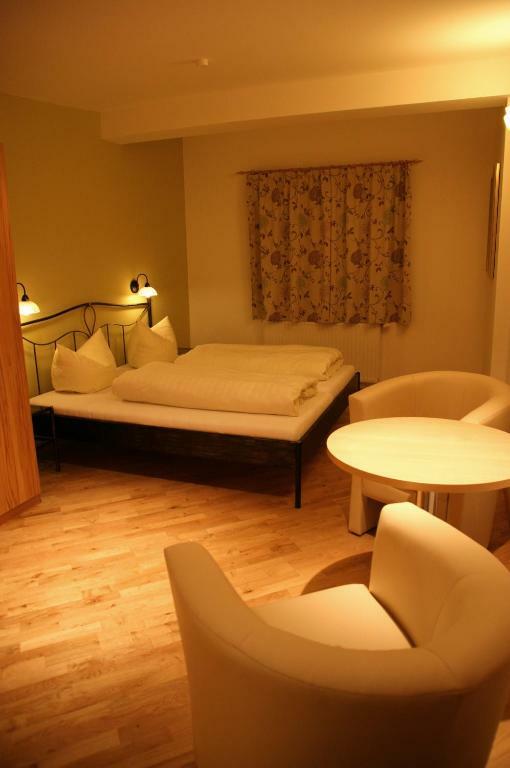 Hotel guests receive the Wildschönau Card free of charge. This card consists of many benefits in winter and summer, such as admission to local museums, guided hikes, use of the cable cars, access to the public swimming pool in summer and much more. This is our guests' favorite part of Niederau, according to independent reviews. 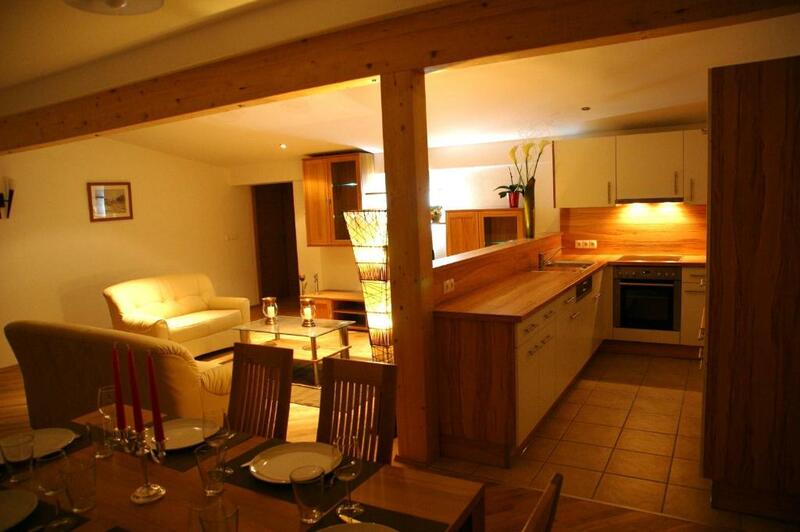 This property also has one of the top-rated locations in Niederau! Guests are happier about it compared to other properties in the area. This property is also rated for the best value in Niederau! Guests are getting more for their money when compared to other properties in this city. 뀐 Located in the top-rated area in Niederau, this property has an excellent location score of 9.4! When would you like to stay at Vicky Apartments? This apartment features a balcony with mountain views, an infrared cabin and a washing machine. The spacious living area comes with a dining area, a sofa, and a fully equipped kitchenette. There are 3 bedrooms and 2 or 3 bathrooms with a shower or bath tub. This apartment features a balcony with mountain views and an infrared cabin. The living area comes with a dining area and a sofa. The apartment also offers a kitchen, 2 bedrooms, and 2 bathrooms with shower or bath tub. House Rules Vicky Apartments takes special requests – add in the next step! Vicky Apartments accepts these cards and reserves the right to temporarily hold an amount prior to arrival. Low quality kitchen equipment (stove, owen). One of the cable cars was shut for renovation. But could use Wildschonau card on the cable cars in the next valley.